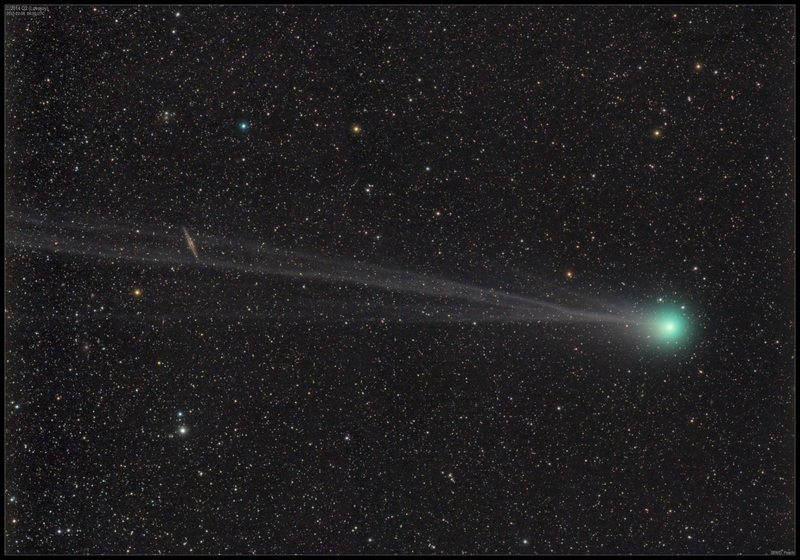 Here is a two frame mosaic of the comet during its passage past this famous galaxy. Taken at full moon so surprised it turned out quite well. FSQ106 with STL -11k. LRGB. 2 frame mosaic.